I've used them before, and have always been impressed with their quality and bang for the buck. Actually, I need to look into ordering some cards to go along with my photography hobby. Hello, I absolutely love your blog! Reading this particular article led me to creating business cards and my own personal webpage for potential employers. Thanks so much for sharing! 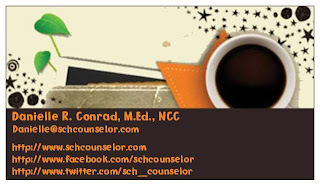 I look forward to being a regular here @schcounselor !